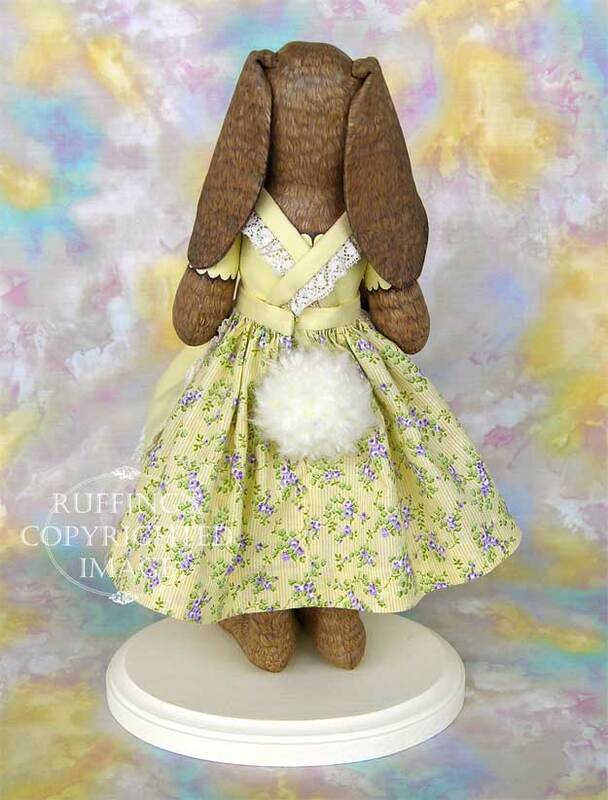 Beatrice is a lop bunny with soft brown eyes, large floppy ears, a wiggly nose, and big feet perfect for hopping about. She is known far and wide for her sweetness. 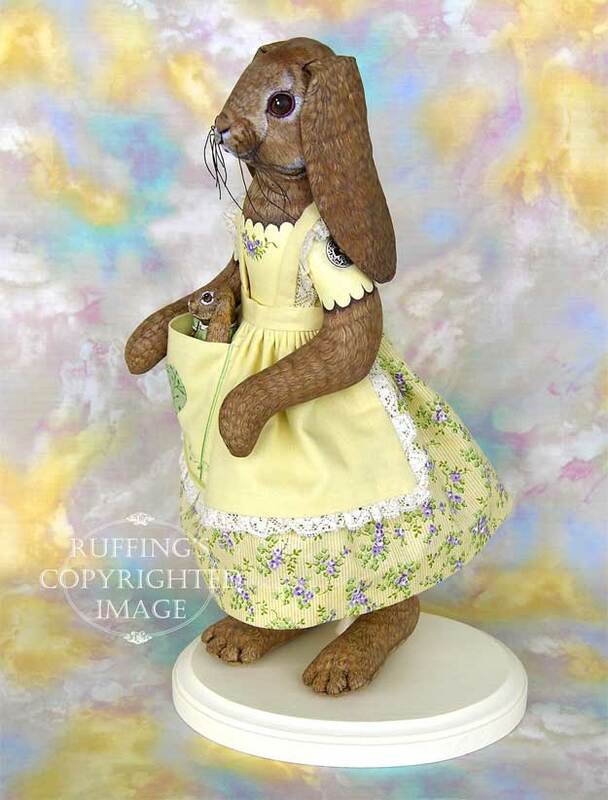 One day, after Beatrice had just been to the Bunny Boutique to buy a new outfit, she happened to pass by the Bunny Baubles store, which is also in the bunny shopping district. 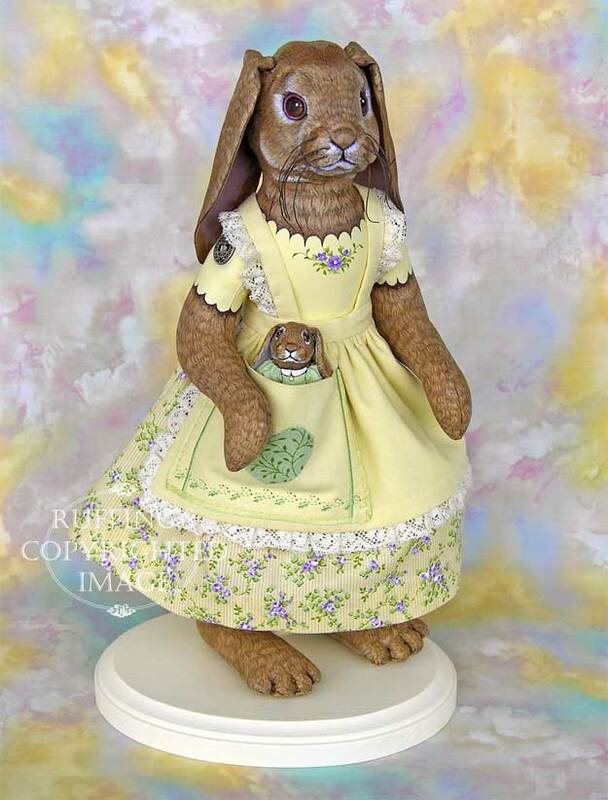 There in the window, looking pleadingly up at her, was a beautiful baby bunny doll in a green dress. 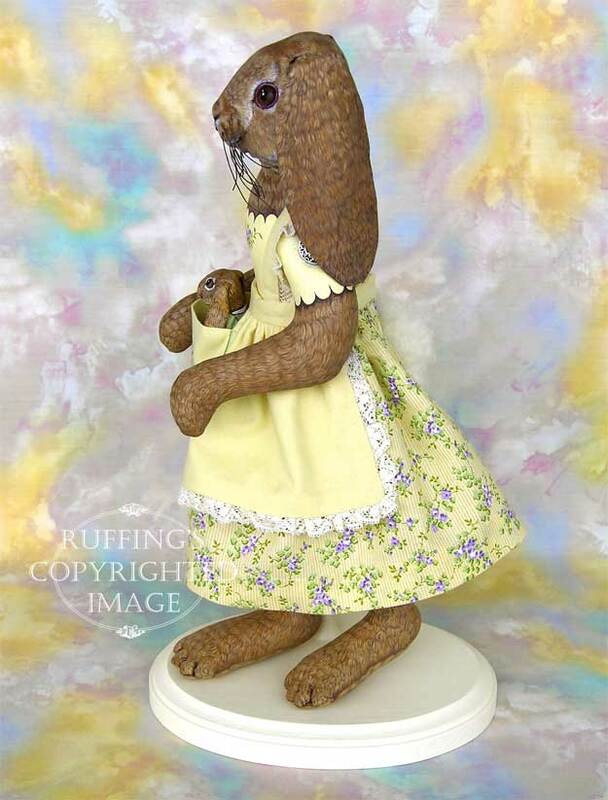 Unable to resist, Beatrice brought her home that very day, and named her Beulah. 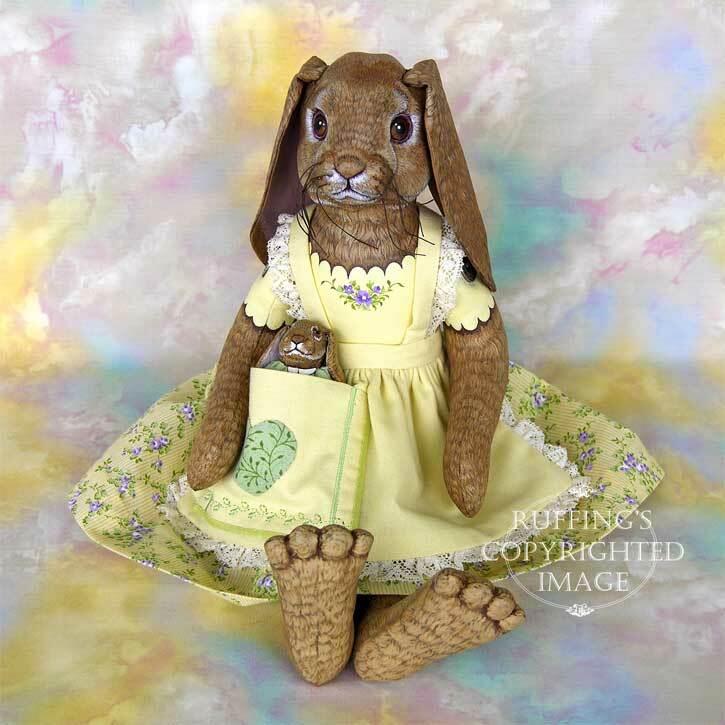 She had a special pocket for Beulah sewn into each of her dresses, as bunnies aren’t very good at carrying dolls. Beatrice and Beulah don’t have tea parties, but Beatrice tosses up fresh endive, romaine lettuce, parsley, and cilantro for wonderful salad parties. 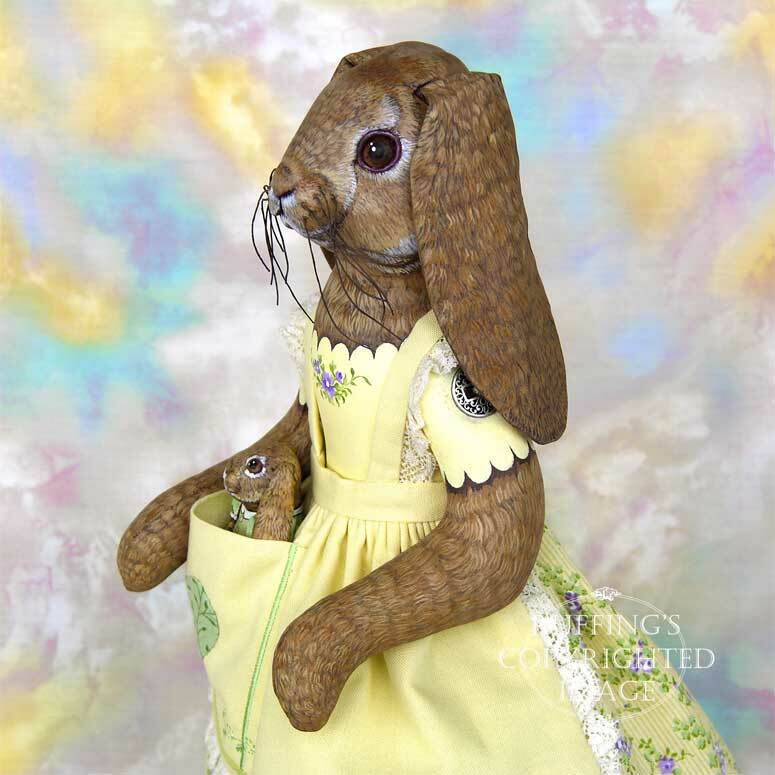 All the neighborhood bunnies hope to get an invitation, and Beatrice tries very hard not to overlook anyone. 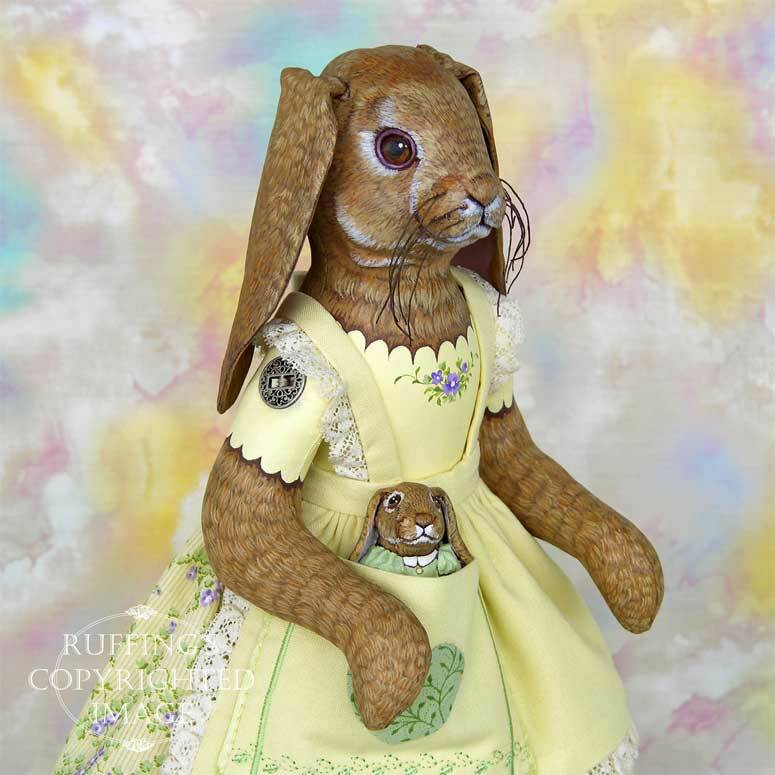 Beatrice and Beulah are original one-of-a-kind works of art, created from our own pattern and design. 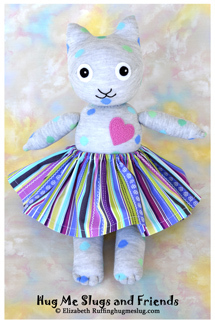 Beatrice is made from 100% cotton fabric which has been sewn, stuffed, and completely hand painted with acrylic paints. 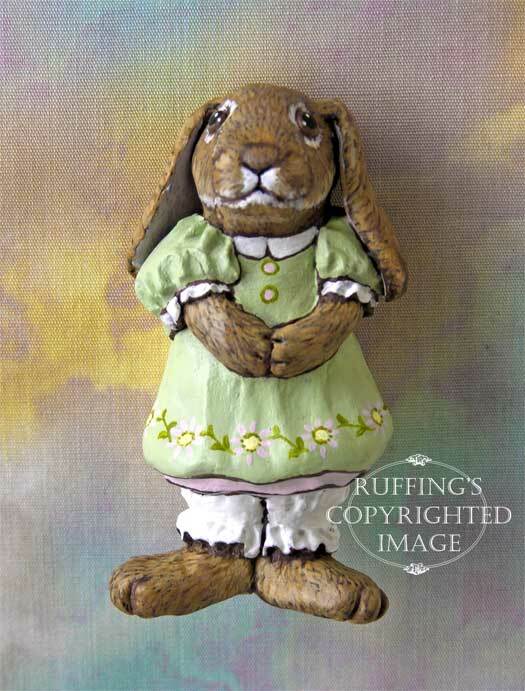 Beulah is sculpted entirely from paperclay and painted with acrylic paints. 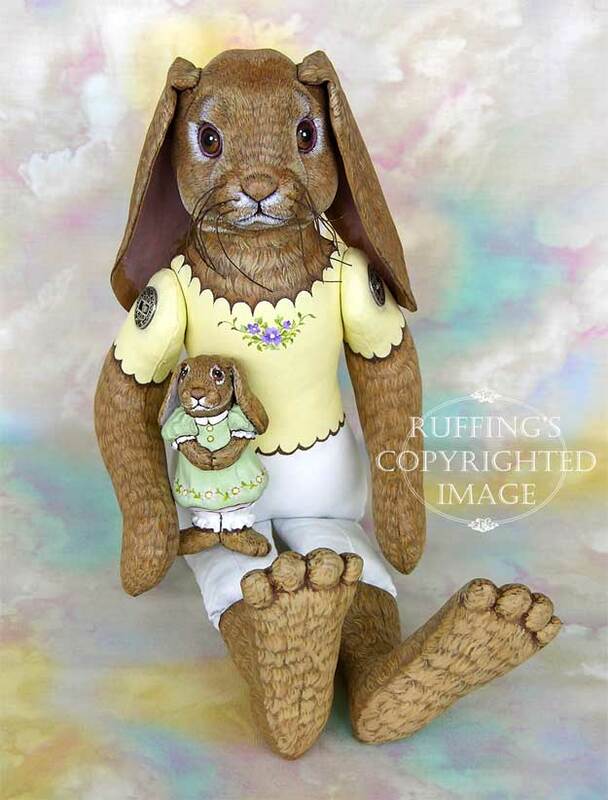 Beatrice is 12 ½ inches tall, and Beulah is 2 ¾ inches tall. 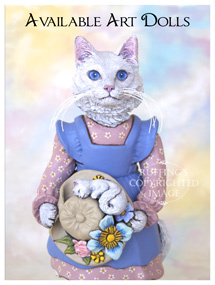 Beatrice’s big feet have needle-sculpted toes, and her paws are button-jointed with antique-looking buttons of filigreed silver on black, so she can easily pose. 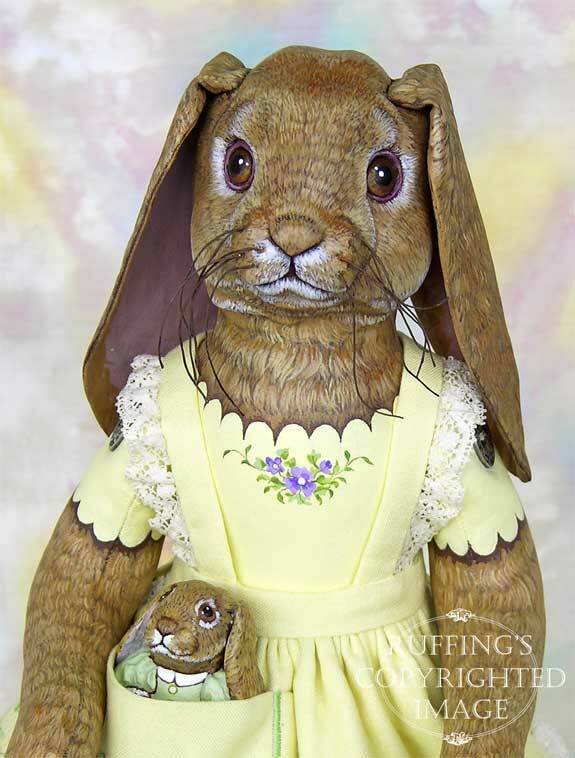 Her face is sculpted from paperclay smoothed into her fabric head, and her whiskers are made from stiffened cotton thread. She has a soft fluffy tail made from yarn. Beatrice can be propped on a shelf or a table, or in a cabinet. 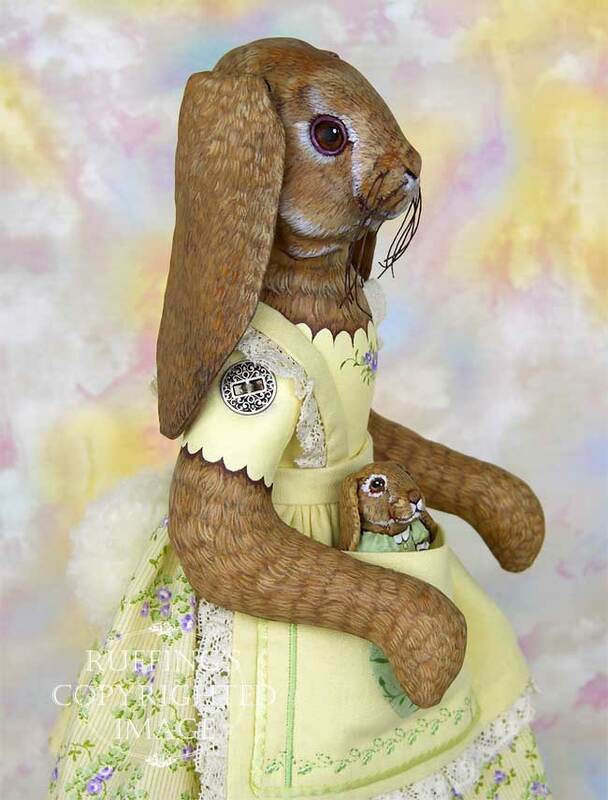 She can also sit in a chair or stand with a doll stand. (Chair and doll stand not included.) Beatrice and Beulah are meant for display only. Beatrice wears a pretty pale yellow blouse with a scalloped neckline, sleeves, and hem. Painted purple flowers on the front of her blouse match the flowers in her skirt. 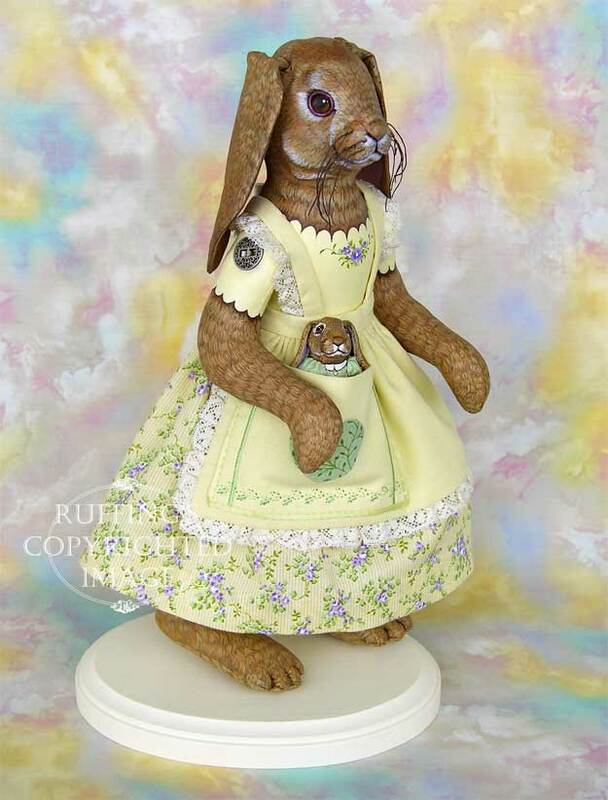 Her bunny bloomers are painted ivory. 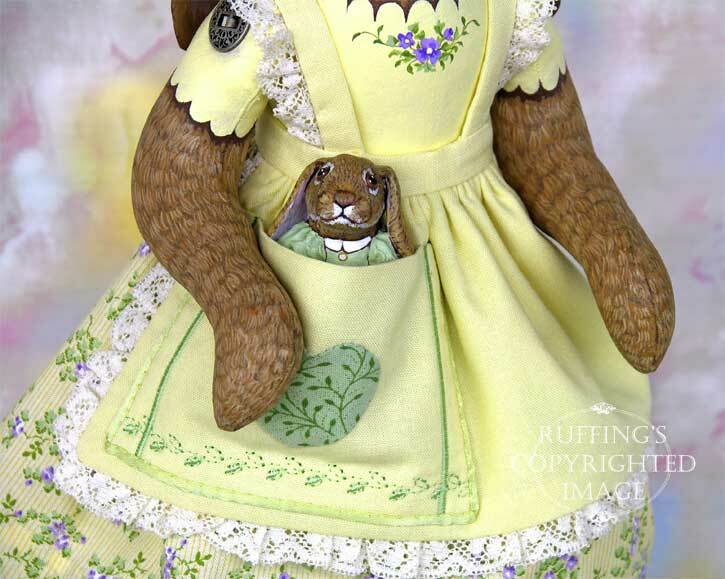 Beatrice’s charming country pinafore has a pale yellow skirt with a pattern of purple flowers and soft green leaves. The apron with straps that cross in the back is also soft yellow, and edged with off-white lace. The big patch pocket meant for transporting little Beulah is edged in green satin with darker green patterns of decorative stitching. A little green heart is hand appliquéd onto the pocket. 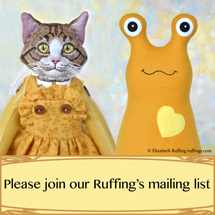 Beulah’s tiny green dress has puffy sleeves with a white collar. Her white bloomers show from under her pink petticoats. A delicate pattern of pink flowers is painted around the bottom of her dress. Beatrice and Beulah are signed and dated, and sealed with matte varnish for protection and preservation. 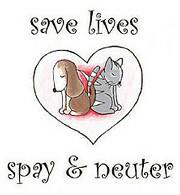 Update: Beatrice and Beulah have already been adopted. Thank you! 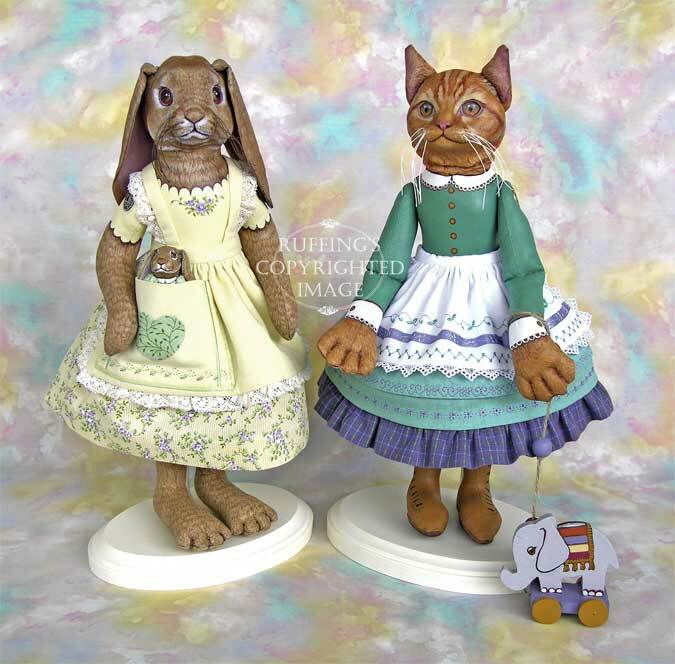 Beatrice and Beulah’s kitty and elephant friends are Emily and Edwin.